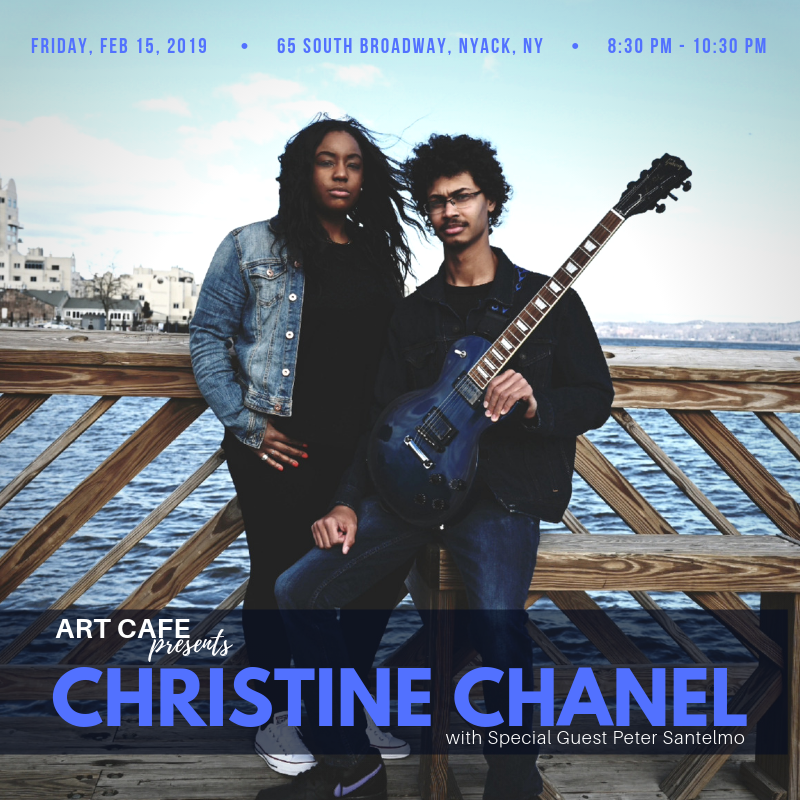 Christine Chanel is an American soul, singer-songwriter and multi-instrumentalist based in Westchester, NY. Her musical style ranges from rhythm, blues and pop to funk and jazz. A vocal powerhouse with resonant hooks and emotionally charged lyrics, Chanel has captivated audiences in a commanding way. Since making appearances at the 2018 Pleasantville Music Festival and various NYC venues, such as the Bitter End and Rockwood Music Hall, she founded her dynamic backing band, The Roster. She will be accompanied by Rockland local, Peter Santelmo on guitar.